"A true 6-person adventure basecamp shelter. Open, airy architecture with full-size doors, standing-height interior and loads of gear storage options. Home basecamp for large groups with full-size twin doors that zip away to create an expansive vista. Big enough to accommodate six adults sleeping or standing and all their stuff. Equipped with extensive pocketing throughout to keep your gear safe and maximize space. Add even more living space with optional oversized footprint. Includes well-organized carrying case. 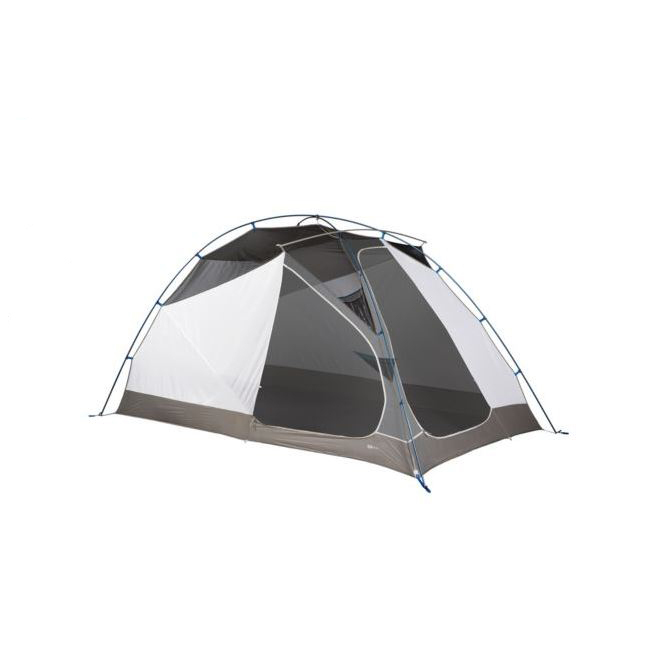 Tent Vestibule Area: 17 sq ft / 1.6 sq m "